As a new poker player, the temptation to take part in online poker tournaments can be quite overwhelming since it provides the best opportunity for you to hone and grow your skills while playing against other real poker players. In addition, most of these tournaments usually require very little in terms of stakes and have sizeable pots for the eventual winners set up by the thousands of players that take part in them. 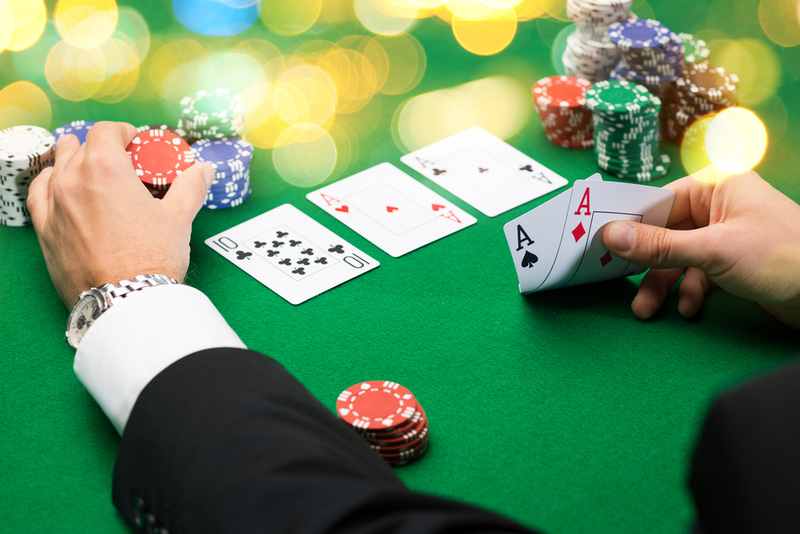 But here is the problem- although more players taking part in a poker tournament means that there is a larger pot to be won, it also means that there are reduced chances of emerging the eventual winner. So how can you increase your own chances of beating poker tournament players at online poker tables and emerging the winner? Below is a short selection of poker tournament tips for beginners that have been tried and found to be the most effective in beating poker tournaments. Playing in online poker tournaments can be compared to making a trip to a state fair. No matter how much money you come to the state fair with, if you do not watch your spending you will soon see that money dwindle away and leave you with nothing. In the same way, the stakes at an online poker tournament may appear small but they can pile up with prolonged losing streaks and eventually leave you without any chips left to play with. Regardless of the particular poker tournament strategy that you decide to employ, always remember that without your chips you have no game and so always watch them carefully. Forget about Kenny Rogers and never counting your cards at the table- always know how much you have and how much you can afford to stake. Most online poker tournaments, particularly the low stake poker tournaments, usually attract tons of players and when you play you might find yourself fighting it off against thousands of opponents. Naturally, a sizeable proportion of these opponents will turn out to be people who signed up for the tournaments but, for one reason or another, were not able to actually take part. You will usually be able to identify them if you watch out for players who do not seem to be doing anything at all during the game. Raising such players gives you a good chance to win since they are not there to respond to your raises. The best poker tournament strategy for small stake games is one that is flexible enough to be adjusted during the progress of the game. Ideally, you need to have one strategy for the early stages of the game and then another strategy for the later part of the game. Remember that most of the players taking part in the earlier stages of the game are going to be just recreational players who are not too keen on winning. That does not mean they are easy to beat. On the contrary, tackling their careless hands calls for a lot of creativity and judgement though the general rule is to try and limit your spending as much as possible at this stage. Majority of these players will drop out as the game progresses and by the time you get to the last stages of the game then you will probably only be left with the more experienced players who know what they are doing and re actually interested in winning the tournament. Now that is time to adopt a different strategy. Online poker tournaments can last from anywhere between a few hours to more than 12 hours and you have to be prepared to go all the way. Poker is a mind game and so your mind needs to be alert throughout the game. When exhaustion begins to set in after long hours of continuous play then you are likely to start losing your focus and make careless mistakes that could eventually cost you the game. So make sure you are well fed and you take enough rest prior to the beginning of the actual tournament in order to be able to keep undue exhaustion at bay. Should you be counting cards in your poker game?